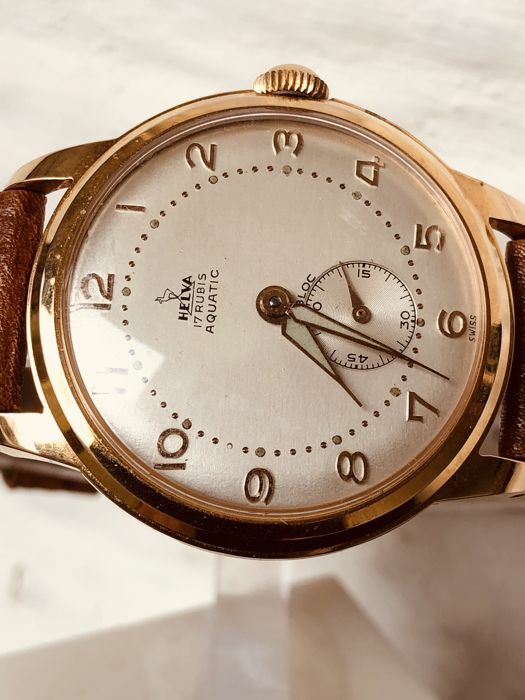 HELVA men's watch from the 1960s, with a leather strap (max. 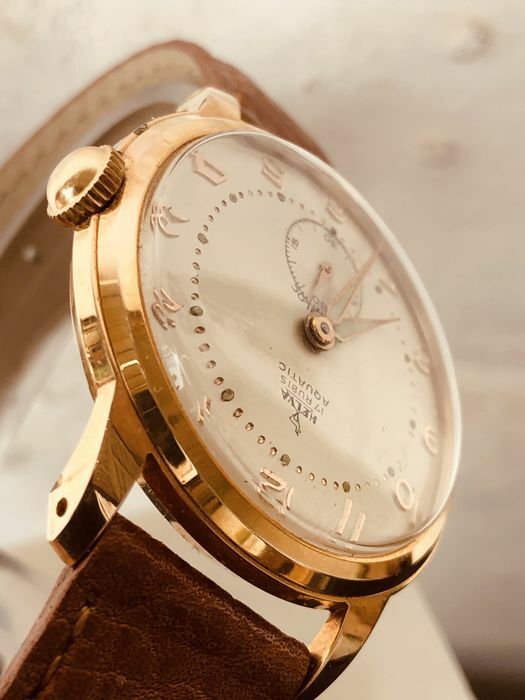 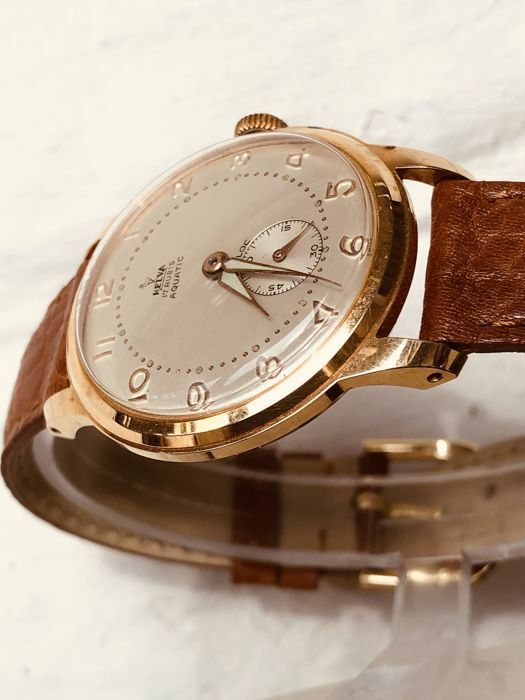 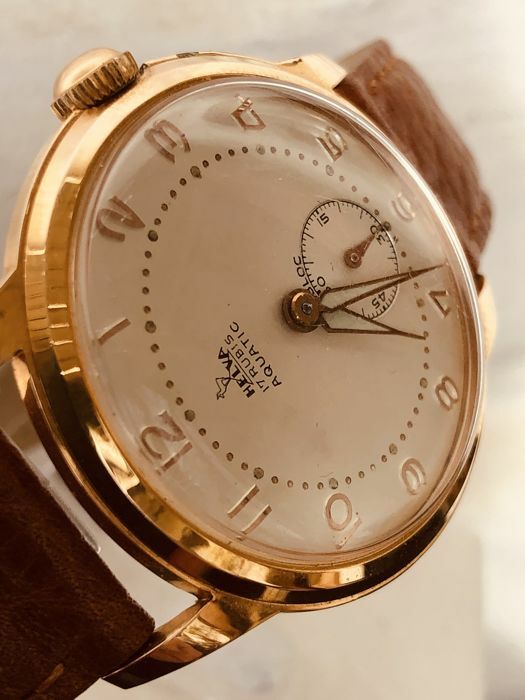 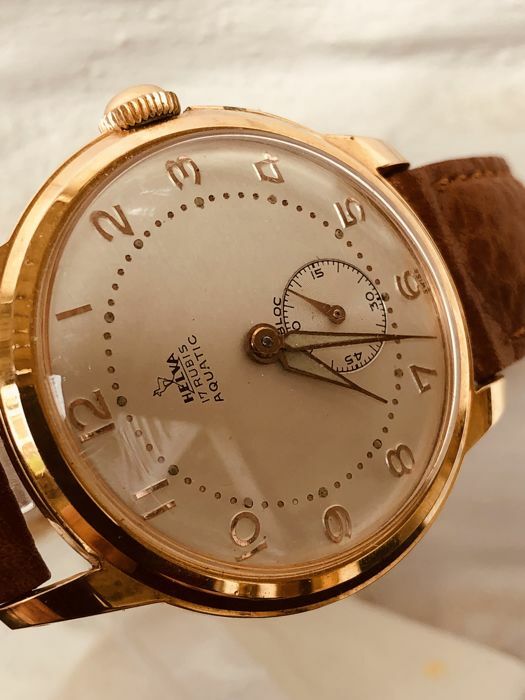 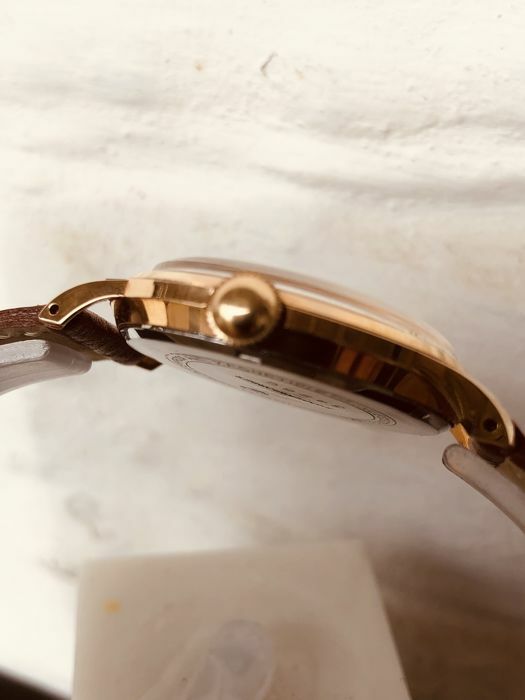 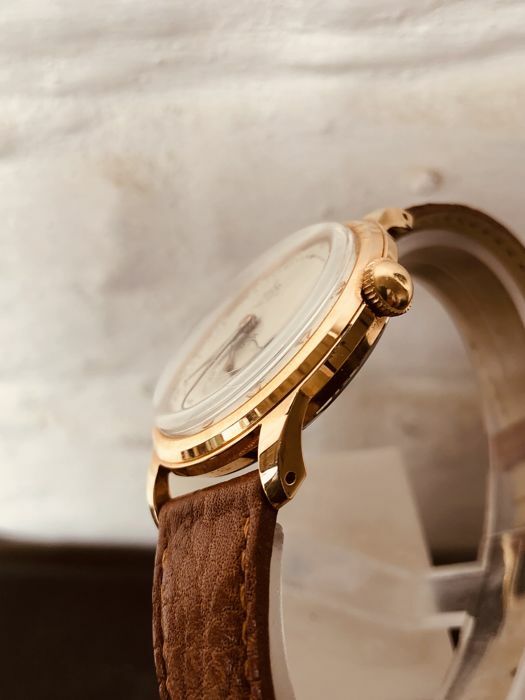 21 cm), diameter without crown 34 mm, champagne dial, separate small second hand, gold-plated case and an excellently running hand-wound movement. 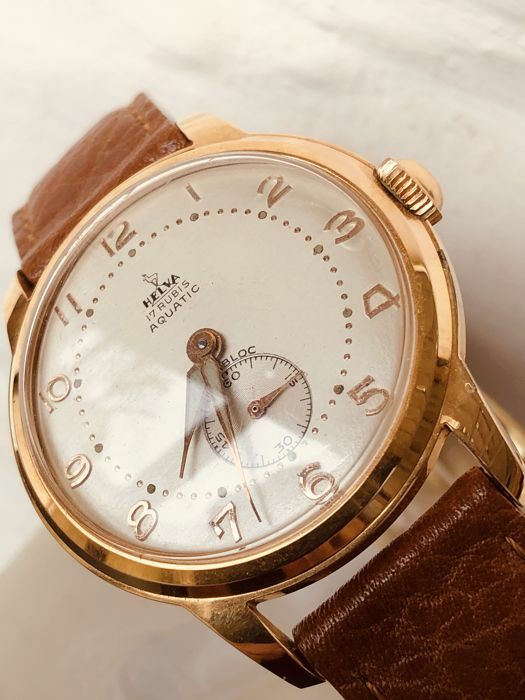 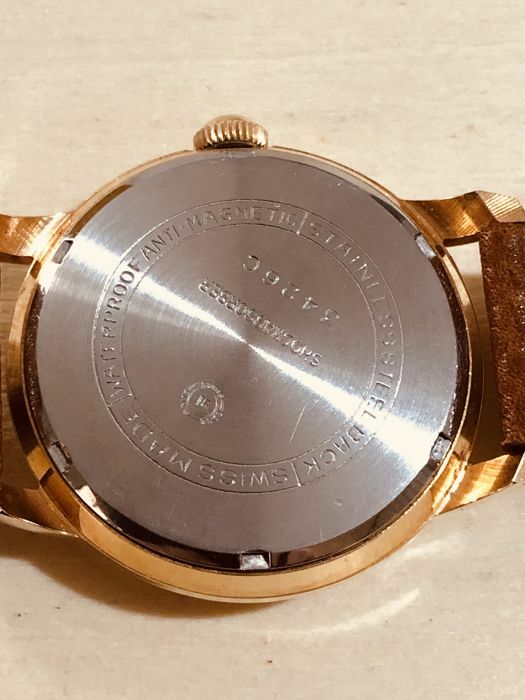 This 50-year-old watch is in very nice condition and seems to have rarely been worn. 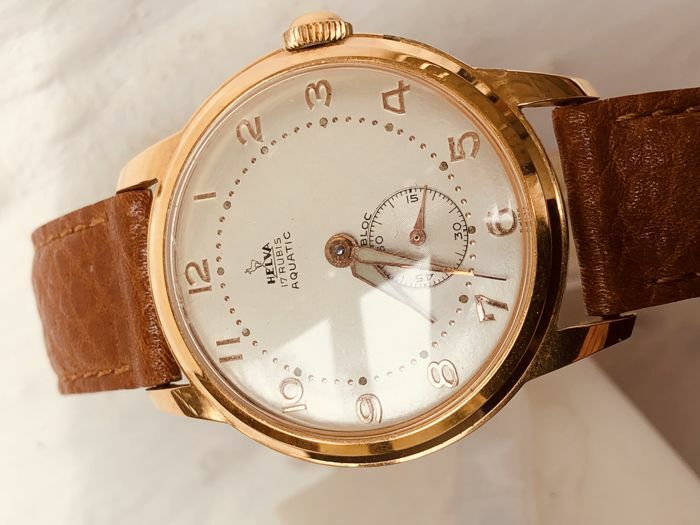 A beautiful vintage item of jewellery. 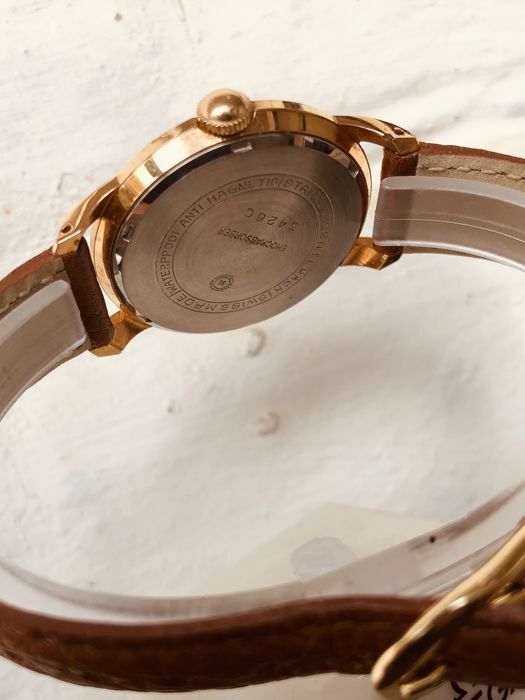 The watch will be packaged with care and shipped insured.